Last week we briefly looked at the many official languages of the EU and how that can affect planning for translations. This week I’d like to take a look at the UK’s withdrawal from the European Union, “Brexit”, and the implications for life sciences. Due to the entwined nature of regulatory bodies for the EU, how will governments and companies handle these requirements in the meantime, during this time of adjustment, and how will it look in the future. In June of 2016, the United Kingdom European Union membership referendum voted in favor of leaving the European Union. Although a petition with more than 4 million signatures called for a second referendum, it was rejected. On March 28th 2017, UK Prime Minister Theresa May signed the letter invoking what is known as Article 50. Designed as a part of the treaty to govern withdrawal from the European Union, Article 50 allows negotiation period of up to two years. As negotiations and talks take place to form an exit plan, the full scope of the transition may not be known for quite some time. 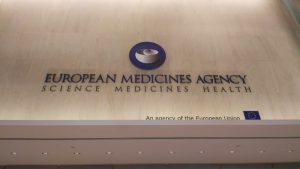 As you know, the European Medicines Agency (EMA) is a European agency for the evaluation and supervision of medicinal products in the EU. Founded in 1995 and located in London, it serves to help centralize drug approvals instead of all member states. This enabled not only massive savings for pharmaceutical companies seeking drug approvals in multiple countries but allowed for drug approvals that would have been difficult before if they were in direct competition with domestic suppliers. Following the United Kingdom’s referendum which voted in favoring of leaving the EU, European Commission Ministers voted to decide where to relocate EMA Headquarters. After much debate, in November of 2017 Amsterdam was named as the new location of the EMA. They have developed a business continuity plan to ensure a smooth transition while they prepare for relocation to Amsterdam and the UK’s withdrawal, as it is their number one priority to maintain a safe and regulated environment. What does this mean for compliance in the United Kingdom? Simply put, the implications are huge. 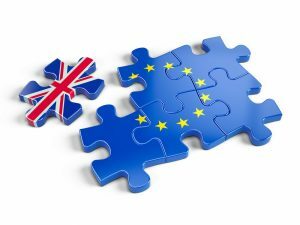 Last year, the EMA released a document, Practical guidance for procedures related to Brexit for medicinal products for human and veterinary use within the framework of the centralised procedure, to help answer some of the questions posed by companies which will undoubtedly be affected. Upon their withdrawal they are expected to be labeled as a “third country”, or one that is outside of the European Union and European Economic Area. “Until the exit negotiations are concluded, the UK remains a full member of the EU and all the rights and obligations of EU membership remain in force. We therefore continue to play a full role in the network and to undertake our work as a Reference Member State (RMS) in the decentralised procedure, and as (co-) rapporteur in the centralised procedure. If, however you do want to consider preparation for any potential changes to marketing authorisation or RMS, please see the information provided by the EMA and the HMA.” Read more here. As of January of this year, the EMA has entered into Phase II of the business continuity plan. The EMA recommends that pharmaceutical companies plan for the UK’s exit in March of next year. We look forward to hearing more as this second phase unfolds.